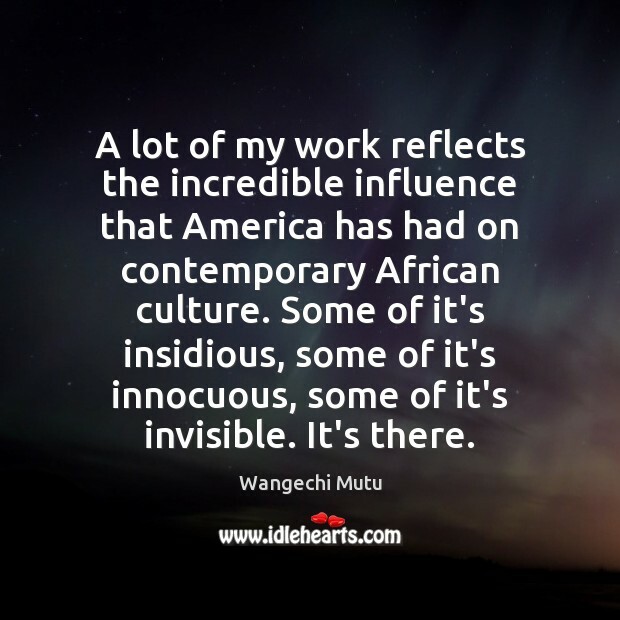 Quotations about African Culture. Quotes to stimulate mind and drive action! Use the words and quote images to feed your brain inspiring things daily! One of the things that made the Black Muslim movement grow was its emphasis upon things African. This was the secret to the growth of the Black Muslim movement. African blood, African origin, African culture, African ties. 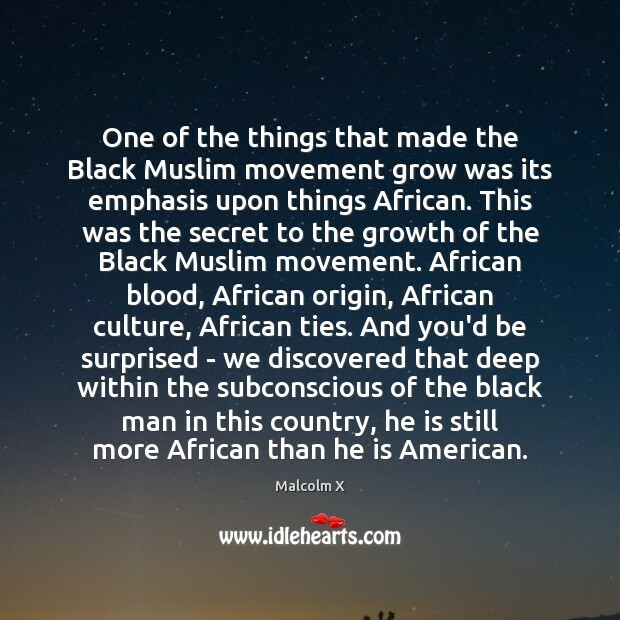 And you'd be surprised - we discovered that deep within the subconscious of the black man in this country, he is still more African than he is American. 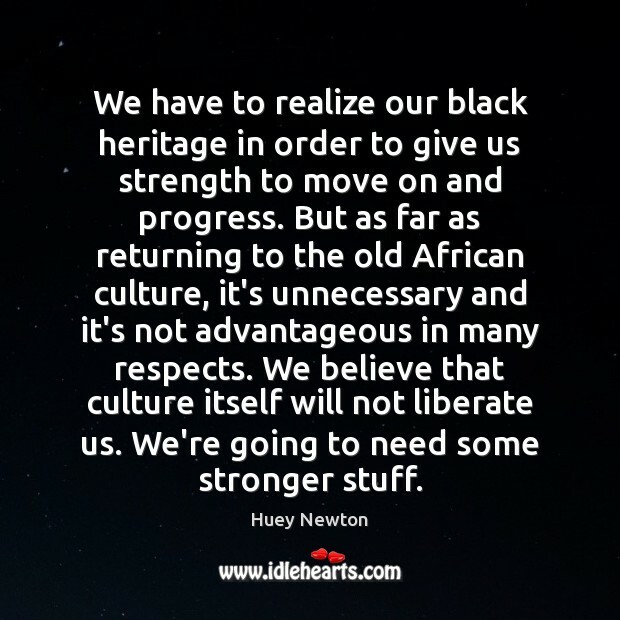 We have to realize our black heritage in order to give us strength to move on and progress. But as far as returning to the old African culture, it's unnecessary and it's not advantageous in many respects. We believe that culture itself will not liberate us. We're going to need some stronger stuff. Perhaps it is time to debate culture. 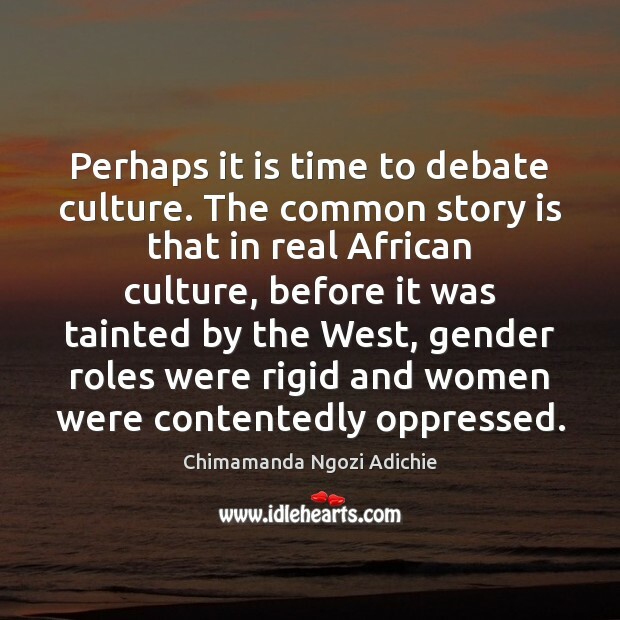 The common story is that in real African culture, before it was tainted by the West, gender roles were rigid and women were contentedly oppressed. 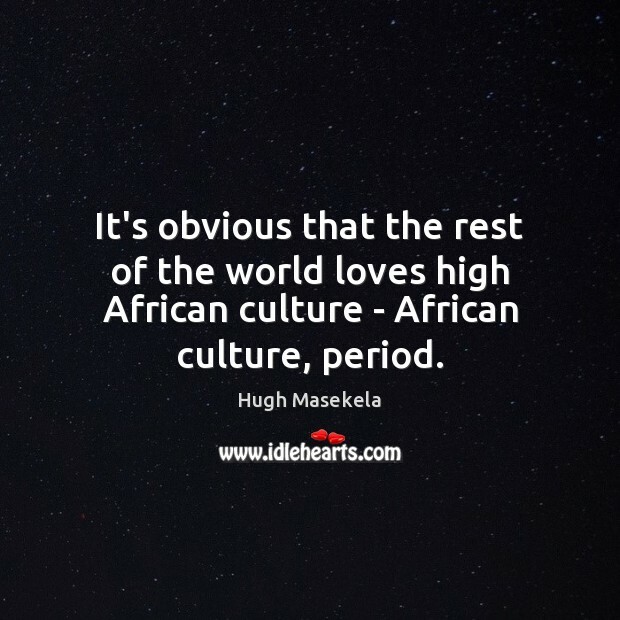 It's obvious that the rest of the world loves high African culture - African culture, period. 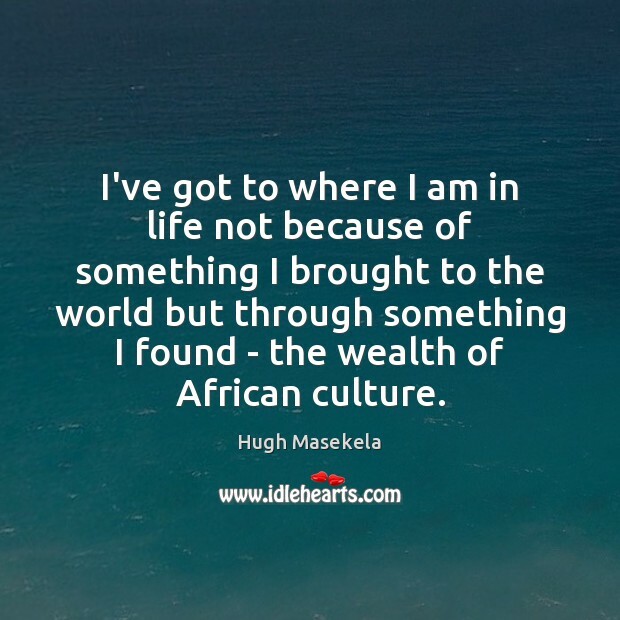 I've got to where I am in life not because of something I brought to the world but through something I found - the wealth of African culture. 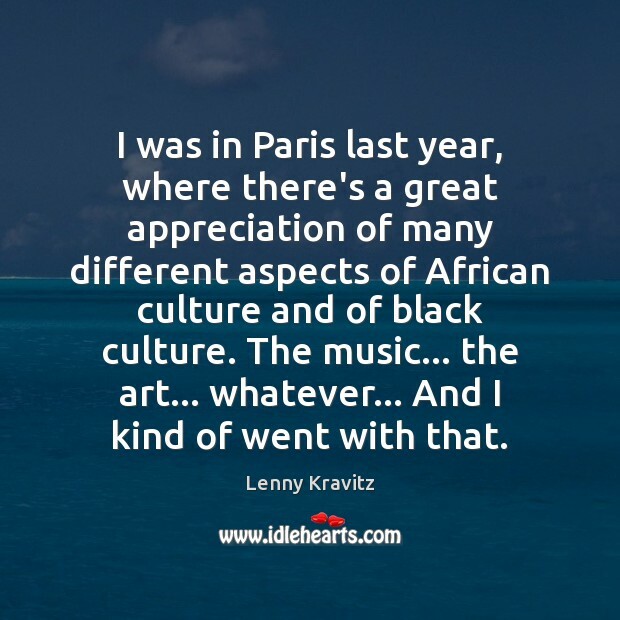 I was in Paris last year, where there's a great appreciation of many different aspects of African culture and of black culture. The music... the art... whatever... And I kind of went with that. The equilibrium you admire in me is an unstable one, difficult to maintain. 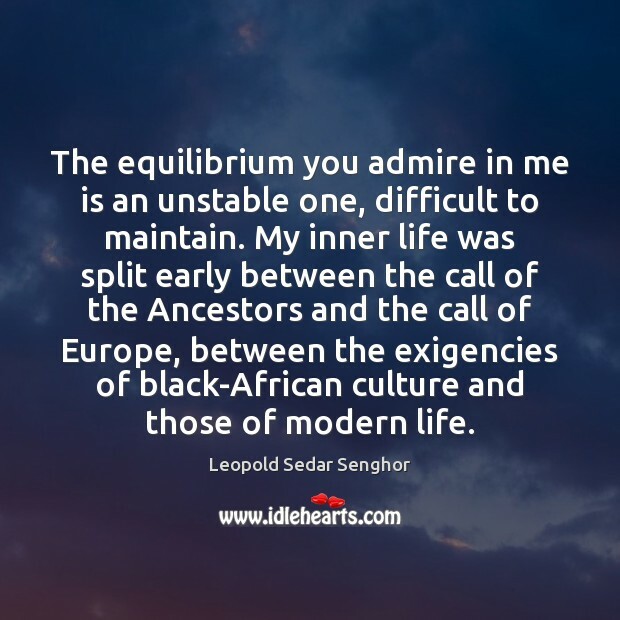 My inner life was split early between the call of the Ancestors and the call of Europe, between the exigencies of black-African culture and those of modern life. 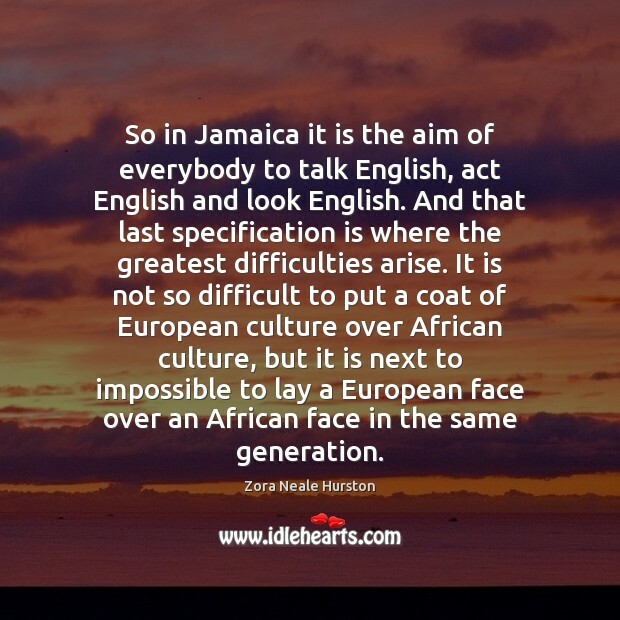 So in Jamaica it is the aim of everybody to talk English, act English and look English. And that last specification is where the greatest difficulties arise. It is not so difficult to put a coat of European culture over African culture, but it is next to impossible to lay a European face over an African face in the same generation. 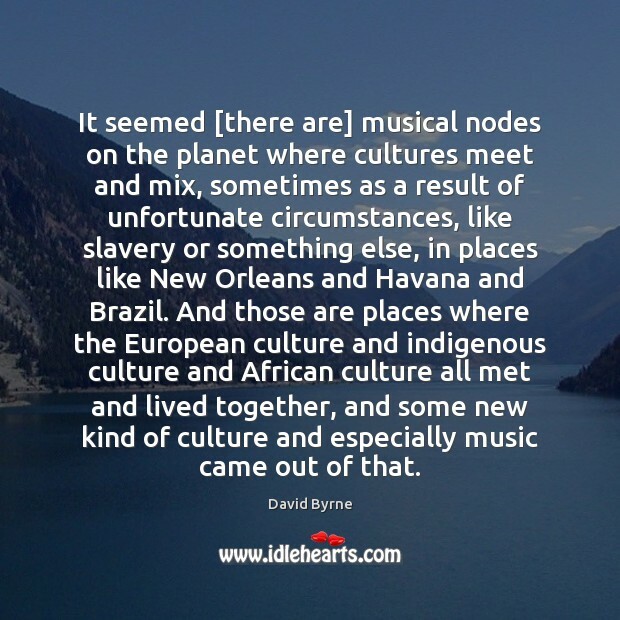 It seemed [there are] musical nodes on the planet where cultures meet and mix, sometimes as a result of unfortunate circumstances, like slavery or something else, in places like New Orleans and Havana and Brazil. 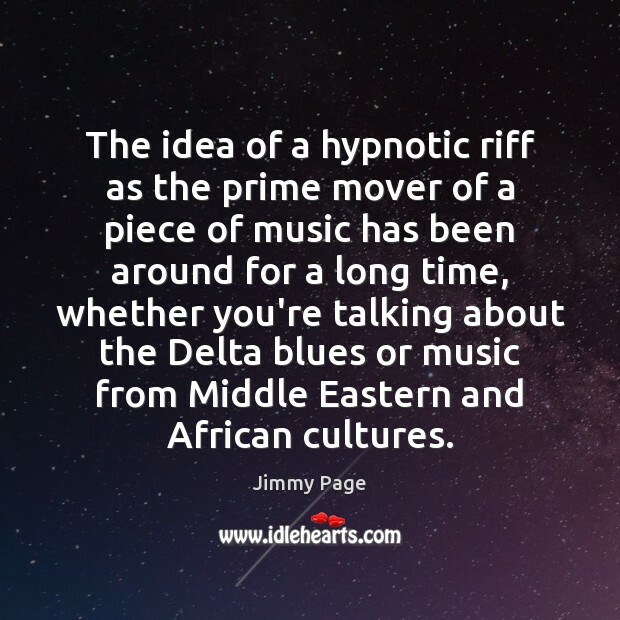 And those are places where the European culture and indigenous culture and African culture all met and lived together, and some new kind of culture and especially music came out of that. I think there's beauty in repetition. 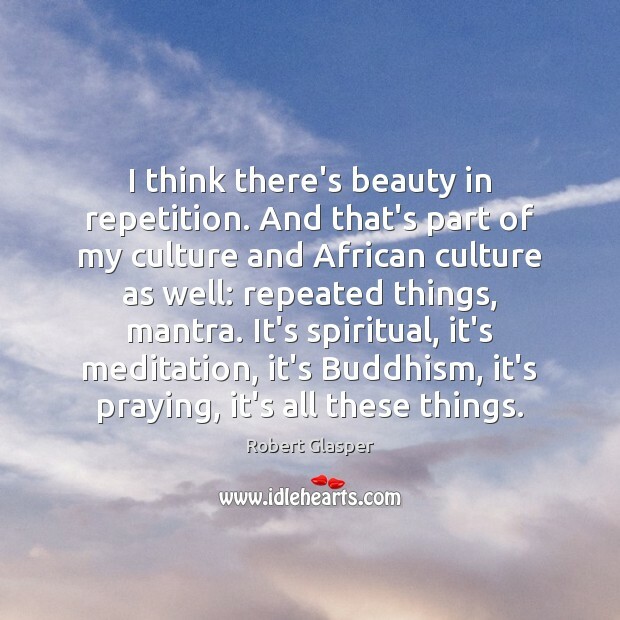 And that's part of my culture and African culture as well: repeated things, mantra. It's spiritual, it's meditation, it's Buddhism, it's praying, it's all these things. It's depressing to see blacks wanting to dive into the mainstream of American commercial life. 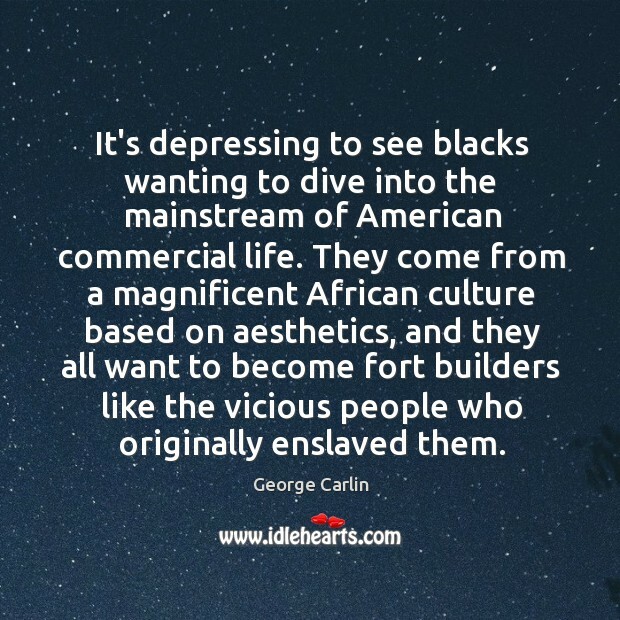 They come from a magnificent African culture based on aesthetics, and they all want to become fort builders like the vicious people who originally enslaved them. 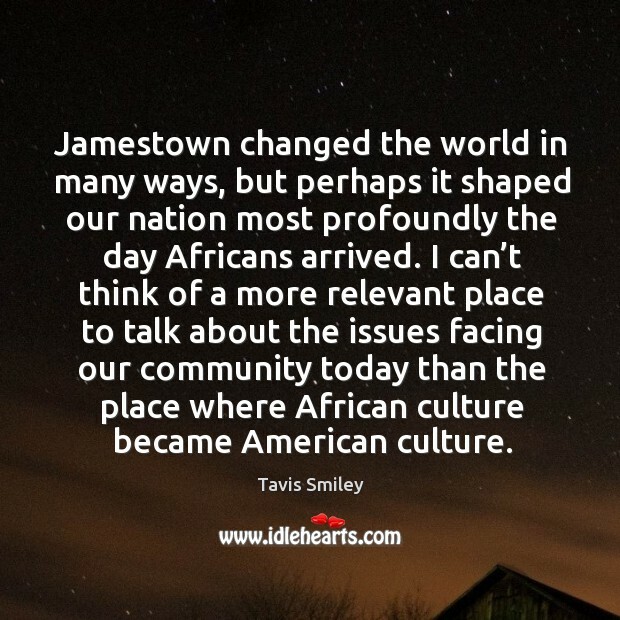 Jamestown changed the world in many ways, but perhaps it shaped our nation most profoundly the day Africans arrived. 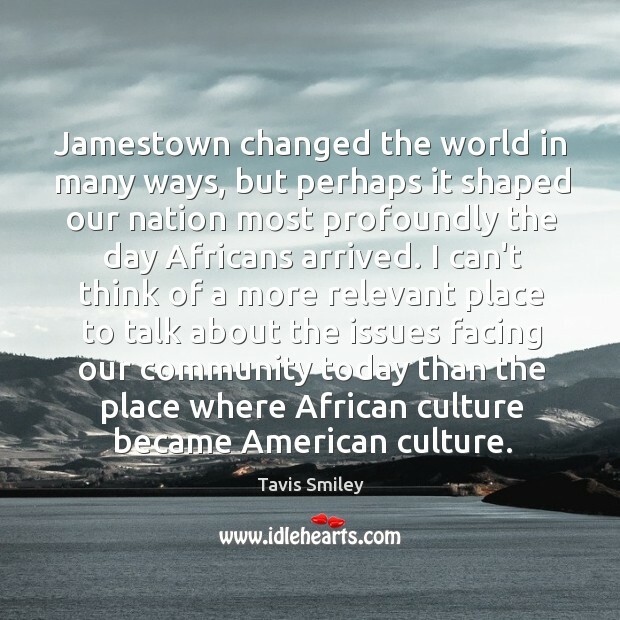 I can’t think of a more relevant place to talk about the issues facing our community today than the place where African culture became American culture.